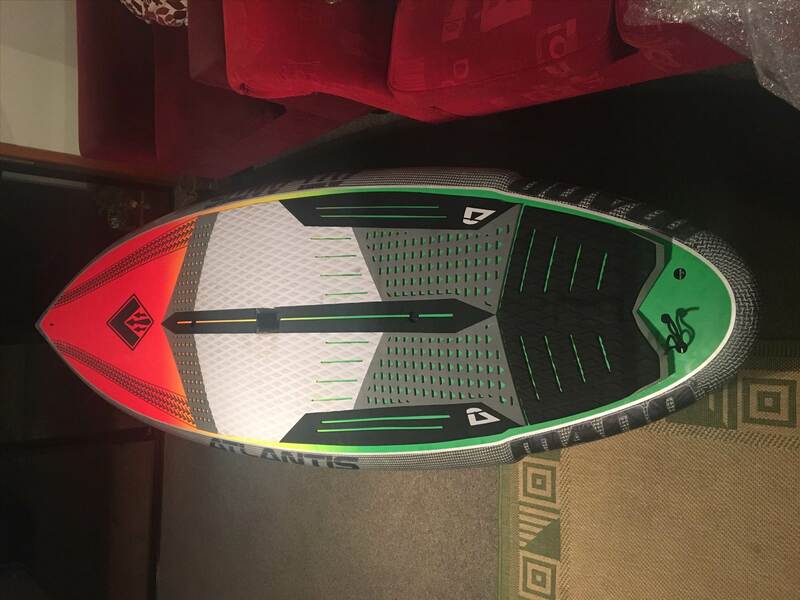 Has anyone else ridden or owned the new atlantis mano sup board? here's my review to date.. So first off she does look stunning- so much going on and the colour / rail scheme is awesome. Turned heads and got questions on my first ride. I managed to buy off another user on here who's mate took it over to NZ with him so I'll take a stab at it being the only one in NZ. 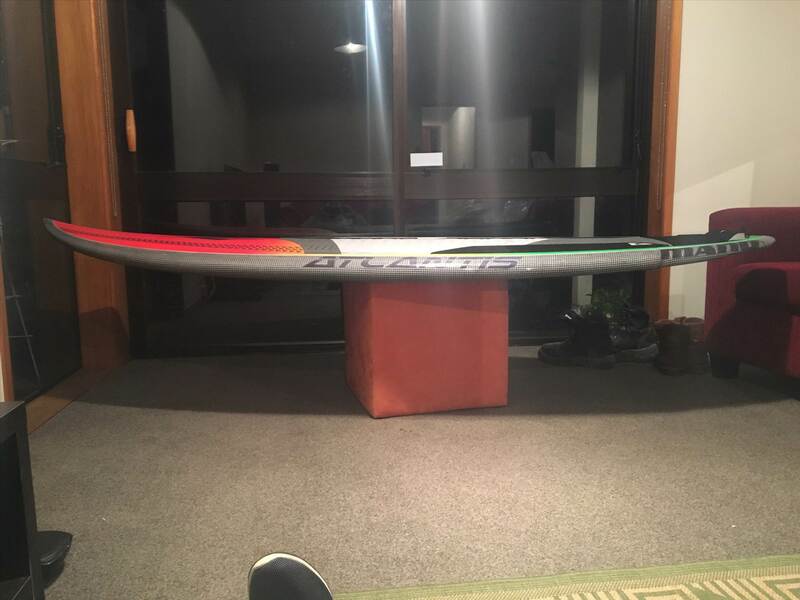 I wanted a board with a fullish (but pointed) nose, still has a performance tail and something around the 8ft mark. On paper this looked everything on the part I could've wanted without being able to see one in person and feel it. I've had mixed emotions about this board and keen to see whether anyone else has had the same opinions. This is the smallest mano they make and I think a little too much has tried to be done with the design and lost some ease of use / essence. It's not super light (although advised this was built to be tough) and it does seem to be tough, the deck especially. Just seems like it would benefit from perhaps carbon. Ive hovered around 27.5" wide- 29", and 8'1 to 8'6 and 107 to 118l volume so this was a touch on the lower side of anything i'd ridden to date. 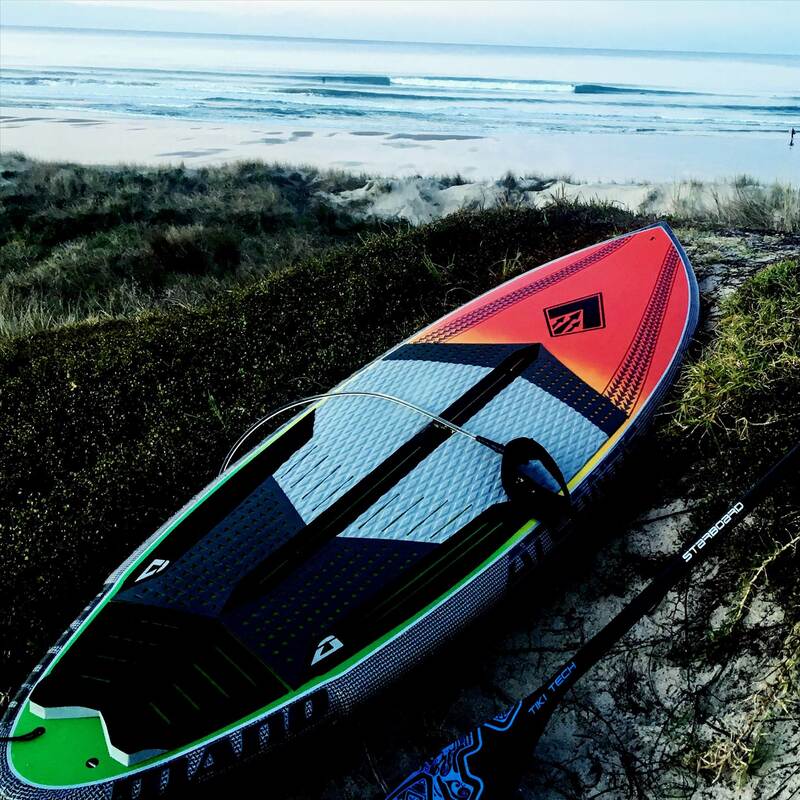 Seemed fine on flat water although had one of the worst surfs of my life in heavy west coast, with a lot of water movement (which is my normal break). Eventually got out but it was so bloody tippy it made actually catching a wave a nightmare and super frustrating. Actually embarrassing to be in the water around other surfers on waves that I would've normally killed on all my other boards. Couldn't hold a steep drop on it and got nailed on a few waves my wider and longer boards would make. Smaller cleaner day, glassy almost. Any board would love these conditions but still was a little tippy and came off a few times. However managed to score around 50 waves and really start to get used to the board with the quad. Managed to get barrelled, do some big top and bottom turns and had a blast- although still felt as though i didn't deserve to be tippy in those conditions. Hard to get over big white wash with the twitchy narrow tail. Due to all the volume taken out of the tail (large tail rocker + flyer tail + channels) it feels to have a large and non linear volume balance between wide nose and bugger all in the tail. In conjunction with the domed deck, and heavy VEE from 1/2 down the board, it leaves a very little sweet spot and a board that just wants to yaw side to side. In heavy waters with non clean conditions, this makes life not very enjoyable and the gains once on the way don't feel worth it. It's already only an 8'2 x 28 board with a flyer tail, I don't see why it needs so much tail rocker and channels on top. It seems to bring too many negatives to stability for the design / performance gain? It also makes getting over big white wash a mission as the board wants to roll and yaw as soon as the white water hits. It seems the wave wants to lift the nose up and then the tail wants to sink and roll. Again it seems that having a bit more tail stability and perhaps reducing the nose width by an inch or two would probably make the board more stable, drivey and punch through white wash better. Due to the solid and slightly heavy construction, it also make the nose feel long and heavy compared to the narrow and light tail. The board does not feel centrally weighted when picked up. The board has quite a noticeable VEE running from around 1/2 the length of the board, seems a little over top and maybe only needed in the tail or single to double rather than a big panel vee. It's a board I want to love and maybe I am still getting used to it but it seems as though overall maybe trying a little too much to be all things. A good concept but a touch more simplicity and refinement would reap a lot for stability and everyday use in average and big conditions. Reduce the vee, add some volume back in the tail / reduce the tail rocker a touch, reduce nose width 1-2" and make it in carbon would be a better board in my opinion. 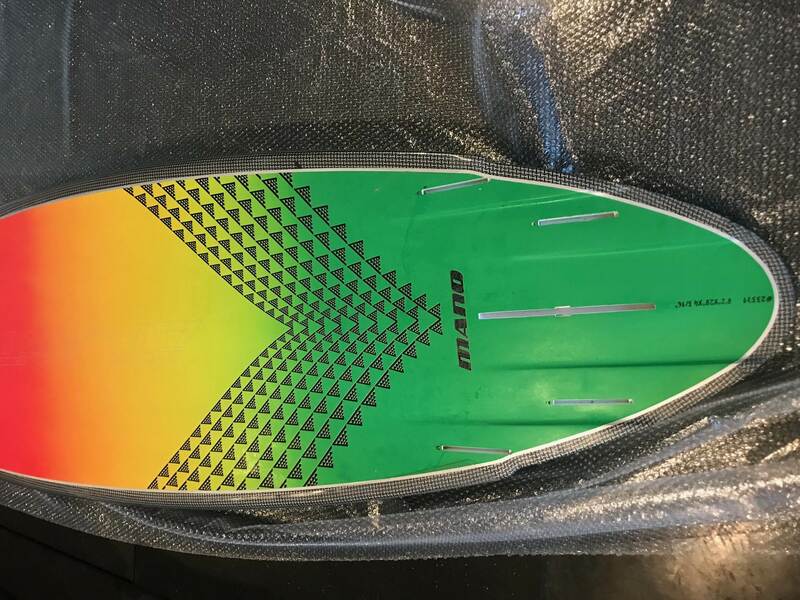 Also get rid of the 4+1 fin box, so frustrating trying to find a decent thruster fin configration that isn't a big centre with side bites! I had to buy a longboard to fcs fin adapter but it's not quite the same. Nice review. If your after a set of thrusters that'll fit a centre box, I can highly recommend the 3D fins Giorgio Gomez model. 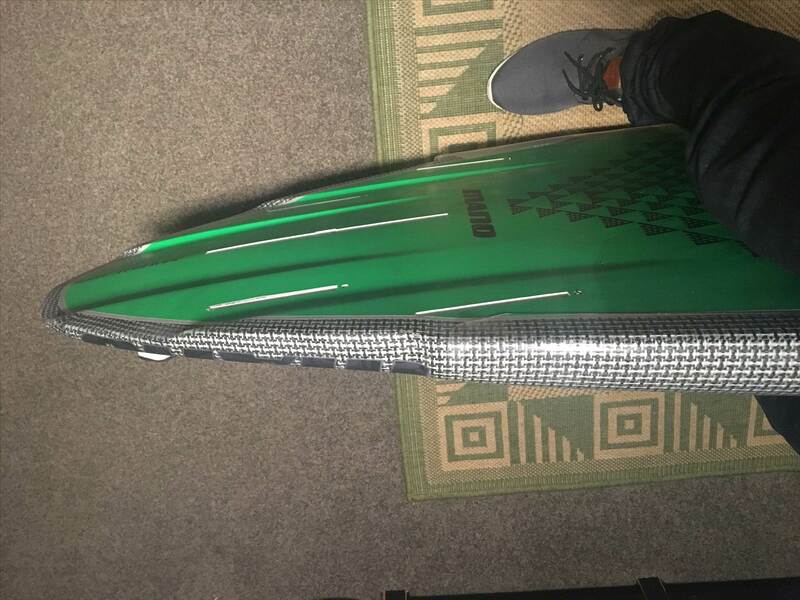 I have soo many different front and back combos but no company seems to just make a smaller 4'5" centre fin in a longboard style? Try Gnarly Skateboard in US! 91.00 US. Great fins. Got the ones with the stripe since I am 70! That would be Gnarlyskater. Carry all the 3D fins. Low budget!! !